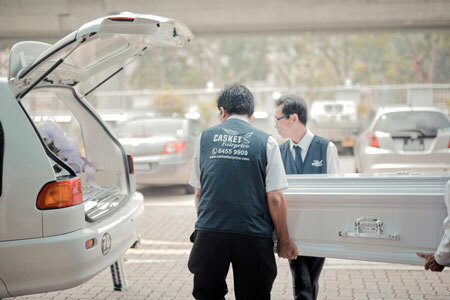 A trusted funeral services provider in Singapore, Casket Fairprice has grown steadily to become one of the leading Singapore’s funeral service group since our establishment in 1993. From funeral parlours to casket services, we provide a one-stop solution to meet all your funeral arrangement needs. Our website contains all the information relevant for a memorial and funeral service so you can make the best and informed decision for you or your loved one. If you have any questions which are not answered by what you find here or you require immediate assistance now, call us at +65 6455 9909. Our funeral advisor will be able to guide you step by step through the whole funeral procedure. 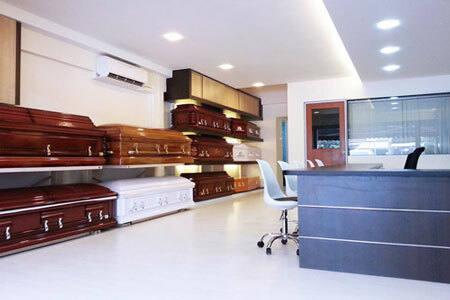 When you engage in Casket Fairprice to handle the casket and funeral services, you can rest assured that you are dealing with an established brick-and-mortar company, instead of a freelance funeral planner or operator. This will give you a peace of mind on the commitment and invaluable experience we have to help you in your funeral arrangements. Casket Fairprice is an established funeral service company in Singapore, operating from the same location for the past 25 years. We have our own in-house funeral parlours, hearses, embalming facilities, showroom, office and a dedicated team of experienced full-time staff. 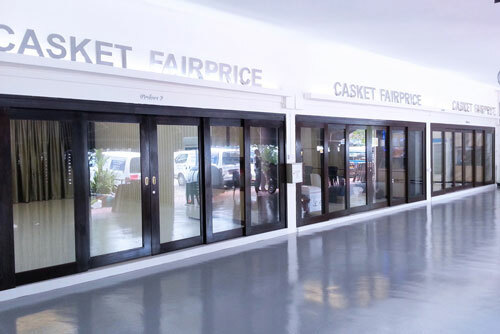 Aside from our fair pricing policy, Casket Fairprice is committed to serving with professionalism and providing quality service. In keeping with our belief that information, support and kindness is what every bereaved family needs, we listen with compassion and sensitivity, answer all questions with professionalism and respect your choices in making the best decision for you or your loved one. Then, we take care of all the details of the funeral arrangement. We understand that each family is unique and has personal requests, traditions and customs to adhere to. Our team of motivated and empowered funeral advisors, supervisors and assistants will do our best to accommodate the individual wishes and needs of every families we serve, and ensure that their departed loved ones are sent off properly and receive a dignified funeral. We have a transparent pricing policy, you can find out the prices of our funeral package on our website. We honour what we advertise and quote. Our promise is to offer our products and services at fair and reasonable prices with absolutely no sales pressure. As a CaseTrust accredited funeral services company, we are committed to upholding the highest professional standards and to follow ethical principles in assuring you of our best business practices and our commitment to fair trading and transparency. Our promise is to help you arrange funeral with dignity and respect for your beloved. We focus on providing compassionate care to families at the time of grief, and look after all the details, to ensure that you receive the peace of mind of knowing that all your needs are being met. Trusted funeral services brand in Singapore, has served thousands of families since 1993, and trusted by many in the market. Our motto is “Transparent Pricing, Trust and Caring Service”. 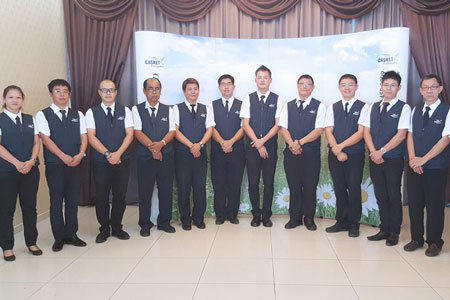 Member of Association of Funeral Directors Singapore (AFD), which is officially recognised by the NEA and comprises of funeral services companies with reputable standing in the industry. One of the very few funeral services companies that offers credit card payment facilities, including a 12 month instalment plan. No surcharge on card payments. You can refer to our funeral info & guide page to learn more about Singapore funeral service matters, funeral etiquette and customs. I would like to give feedback about Casket Fairprice’s service to my family during our three day wake at Parlour 3. First of all, you Vivien, was so gentle on the phone and very very thorough with what the package I wanted provided. The moment I heard your voice, I knew that I would select your company to provide the service, and I was not wrong. Ms Peggy, also spoke with much sensitivity to my family and I am so touched by that. She was so patient with our questions and was very assuring at every step. Whether you or your family prefer a simple or elaborate funeral service, you can trust and rely on us to help you plan and materialise your wishes. Our supportive team of funeral directors and undertakers are well trained and knowledgeable in various funeral rites, practices and customs to easily guide you through the aspects of funeral arrangement planning. We provide a wide array of funeral solutions no matter your racial or religious background. Whether yours is a Buddhist, Christian, Taoist and more, our funeral service packages contain the essentials and proper arrangement to carry out a dignified funeral accordingly. We also provide services such as funeral supplies and religious supplies so you can give your loved one a proper send-off.